Cannes dawned cold and inclement. So we bundled up for the weather and stoically headed for the train station. Having been to Nice and Monte Carlo before, I decided visit Antibes in the morning and then check out Cannes and its Christmas market afterwards. Antibes is a romantically picturesque town less than 15 minutes by train from Cannes. Thankfully ignored by most cruise passengers who headed for the glitzier cities of Nice and Monte Carlo, we had the place to ourselves. 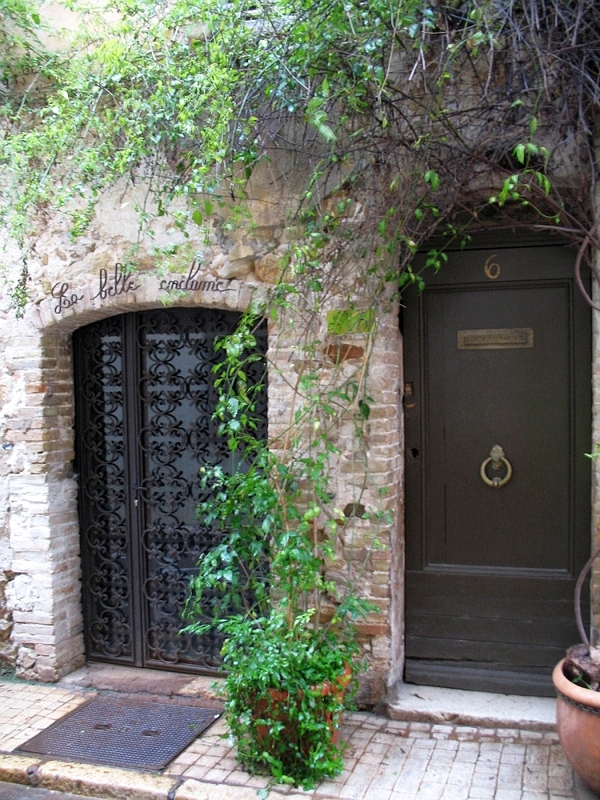 Vieil Antibes (Old Town) is an eclectic mix of shops, galleries, restaurants and bakeries. It also includes the souklike neighborhood of the Commune Libre du Safranier, where Napoléon Bonaparte once lived. We eventually ended up at the waterfront, but except for the cafes, it was too early – at 11 am most places were still shuttered. After fortifying ourselves with hot chocolate and crepes (on top of the 2 pain au chocolates…) we headed back to the train station. 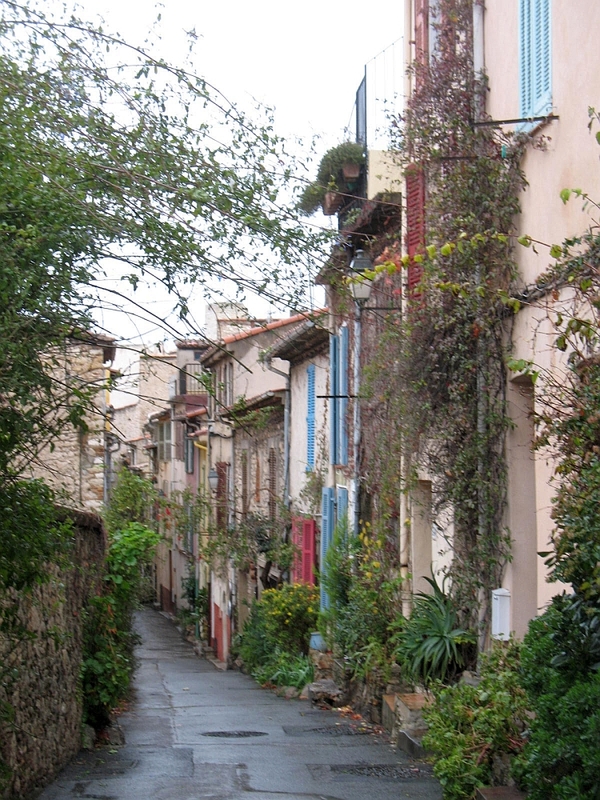 It was fun to get lost in the maze of the Commune Libre du Safranier, where narrow streets and even narrower houses are covered with flowers & vines, and neighbors can chat from window to window. I’d love to return and sit stroll through the streets on a sunny day! The doors are unique in each of the houses, a contrast to the monolithic sameness of modern homes. 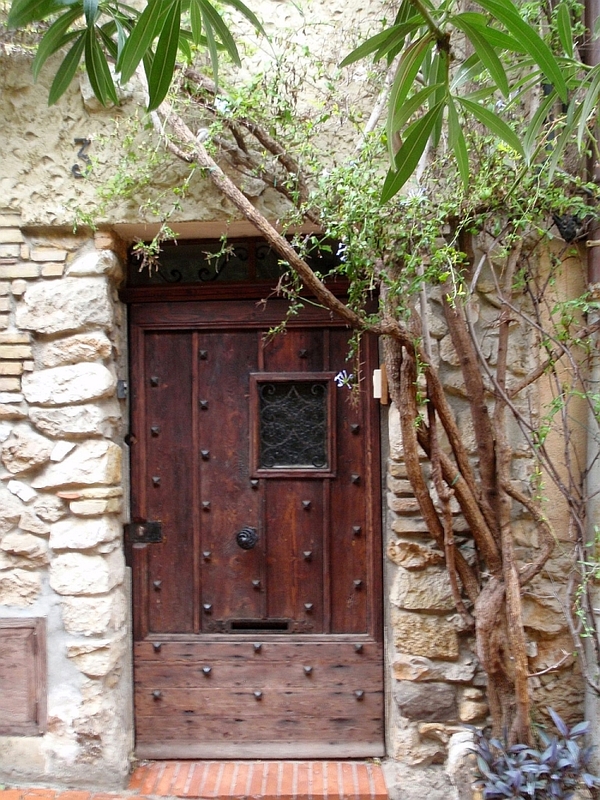 I love the quirky location of the door pull, arrangement of the metal studs and texture of the glass of this old door. 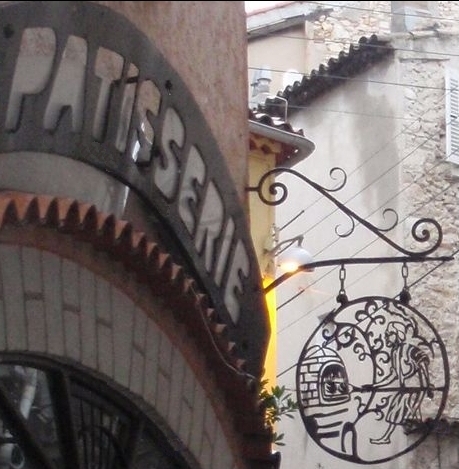 Wrought Iron Sign of an Antibes Patisserie. Not half as charming as Antibes, Cannes is home to the Palais de Festivals where the fabled Cannes Film Festival is held. As the French answer to Grauman’s Chinese Theater, the surrounding pavement of the Palais shows some 300 autographed imprints of film stars’ hands (Meryl Streep and Sharon Stone’s included). At the nearby La Croisette, the tony waterfront promenade is lined with sumptuous hotels, apartments, restaurants and shops all geared for high octane consumption. After much WINDOW shopping, we wandered around the festive side streets which were decked out in Christmas decorations, went hog wild over the scrumptious rainbow hued macarons at L’Atelier Jean-Luc Pelé and then visited Marché Forville. It’s a food market where local chefs come to shop for fresh fish, vegetables, and meat every day except Monday – our port day. I was bummed. In its place was a forlorn looking flea market that drew little traffic from locals or tourists alike. We eventually braved the blustery wind to walk along the old port walls, just for the heck of it, then checked out the Christmas Market before getting back onto the ship. 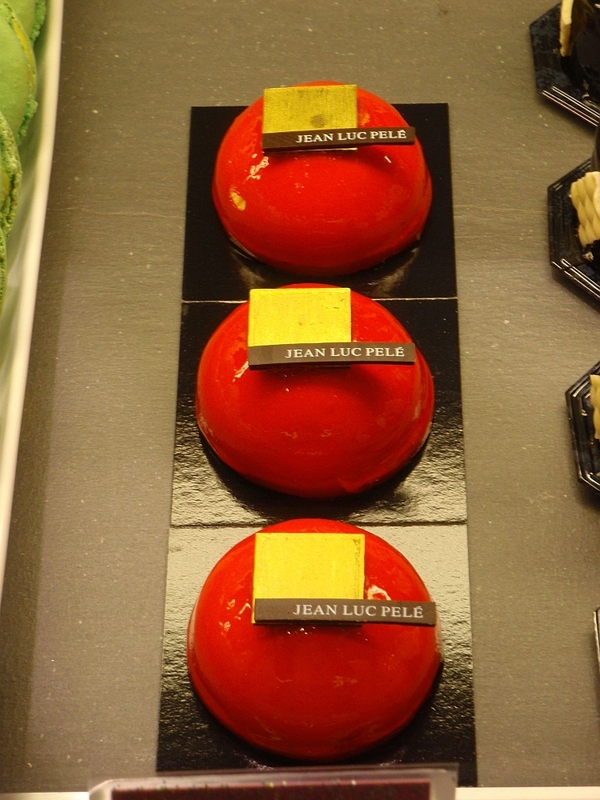 Looking for simpler pleasures, I searched for the famed L’Atelier Jean-Luc Pelé which sells exquisite pastries along Rue Meynadier. These are truly edible works of art! 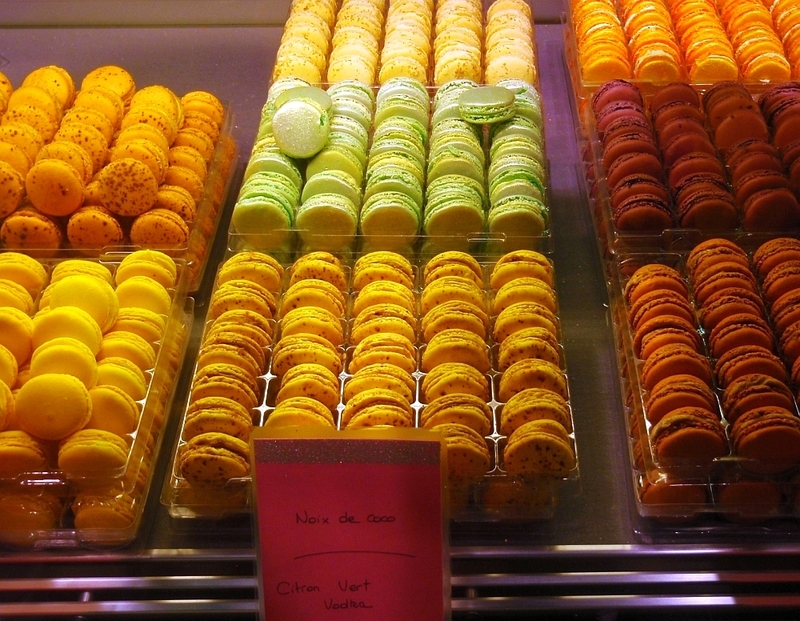 The chocolatier offers 20-30 types of macaroons, including mint-anise and Menton lemon. We had the amazing foie gras with sea salt caramel and citron vert vodka – at 2 euros a piece, they were delightful mementos of our visit! 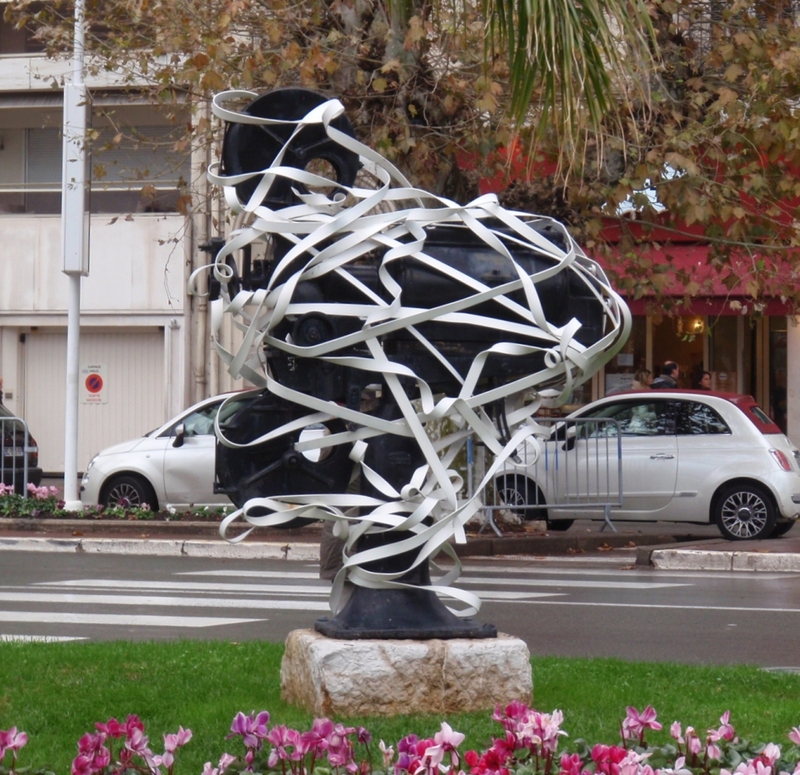 Roadside sculpture around the Palais de Festivals – the white film strips made it resemble an artistically TP’d reel to reel projector. Since Barcelona was the epicenter of the Modernisme (Catalan for modernism) movement, I was bent on experiencing its architectural treasures. In a moment of (irrational) exuberance, I got tickets to see architect Lluís Domènech i Montaner’s Palau de la Música Catalana shortly after docking, and then join a Gaudi walking tour at the Placa Reial immediately afterwards. We ended up almost missing both, dashing haplessly up and down La Rambla, Barcelona’s main drag, as the locals point us in opposite directions for the landmarks. 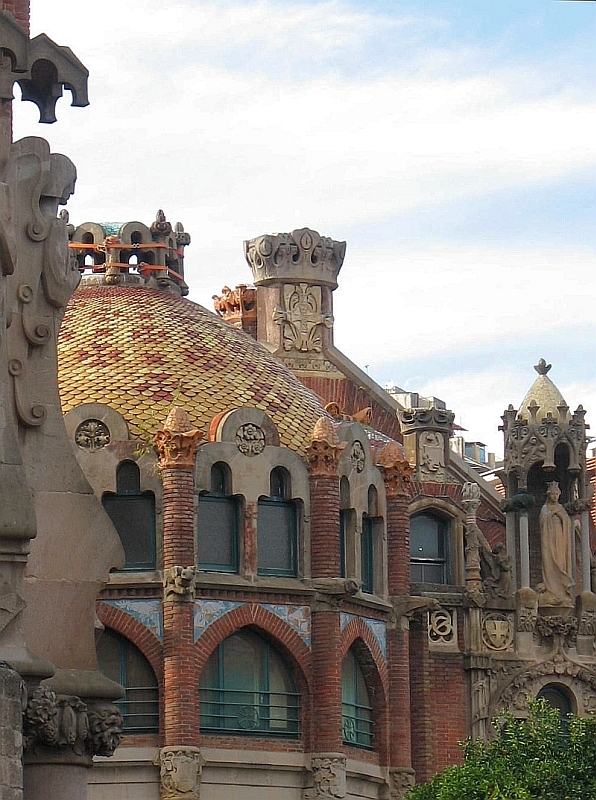 But it was well worth the effort – the Palau’s sculpture, ceramic and stained glass were stunning; and the walking tour shed light on the life and work of the creative genius that was Antoni Gaudi. 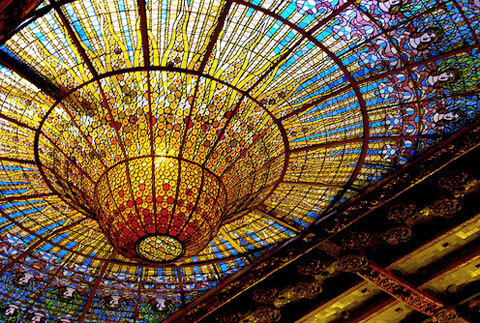 Though stylistically different, both Gaudí and Montaner favored organic forms, curved lines and parabolic arches, as well as extensive ornamentation using ironwork, stained glass and stone. 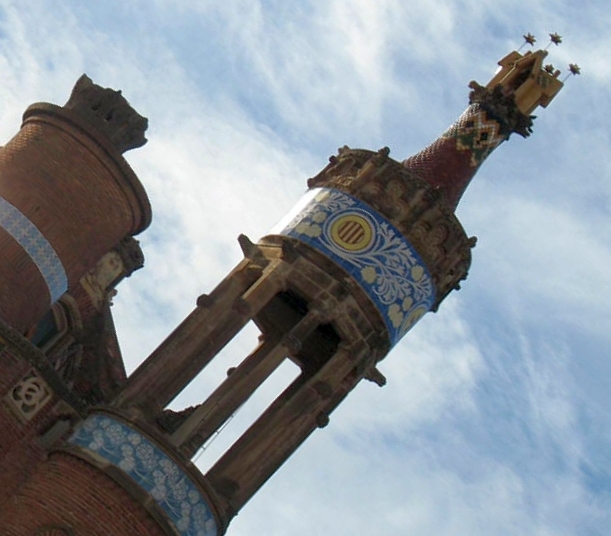 To cap off the day, we wandered quietly around the grounds of Montaner’s Hospital Sant Pau, which like El Palau, is a UNESCO World Heritage site. 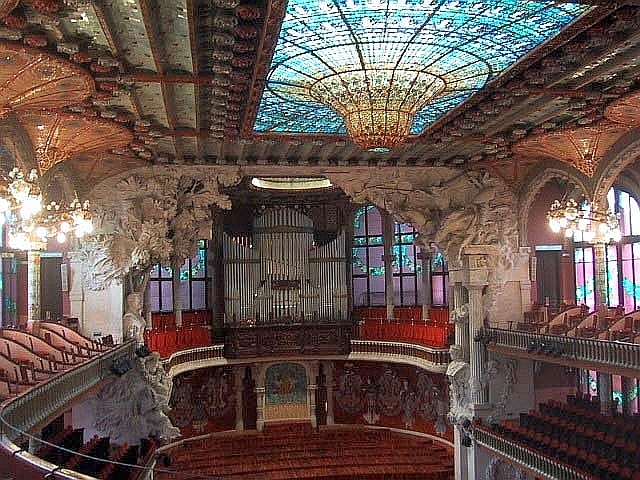 The concert hall is the only auditorium in Europe that is illuminated entirely by daylight via the enormous stained glass skylight and curtain walls. Since photography is disallowed inside the building, these pictures of the Palau are from the internet. The stained glass centerpiece is an inverted dome in shades of gold surrounded by blue that suggests the sun and the sky. The colorful, sumptuous sculptural decor of the concert hall celebrates both folk and classical music. 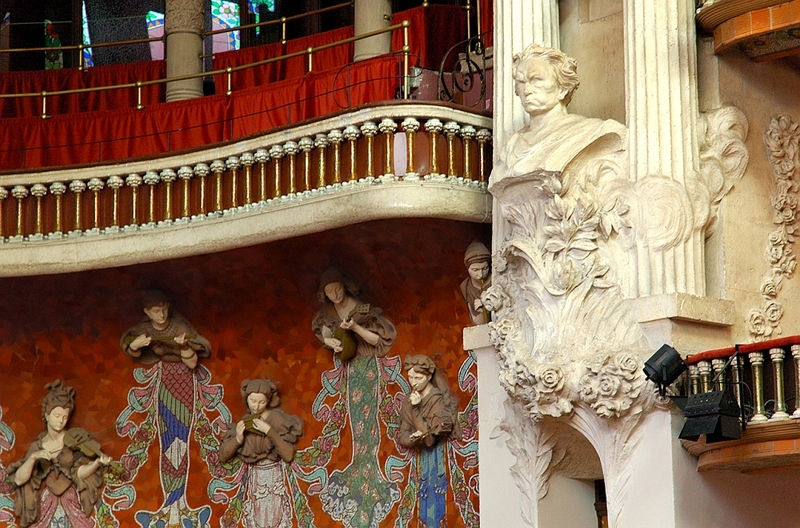 Shown are instrument-bearing muses in terra cotta and trencadis (broken mosaic collage) with the bust of the music director Josep Clavé. 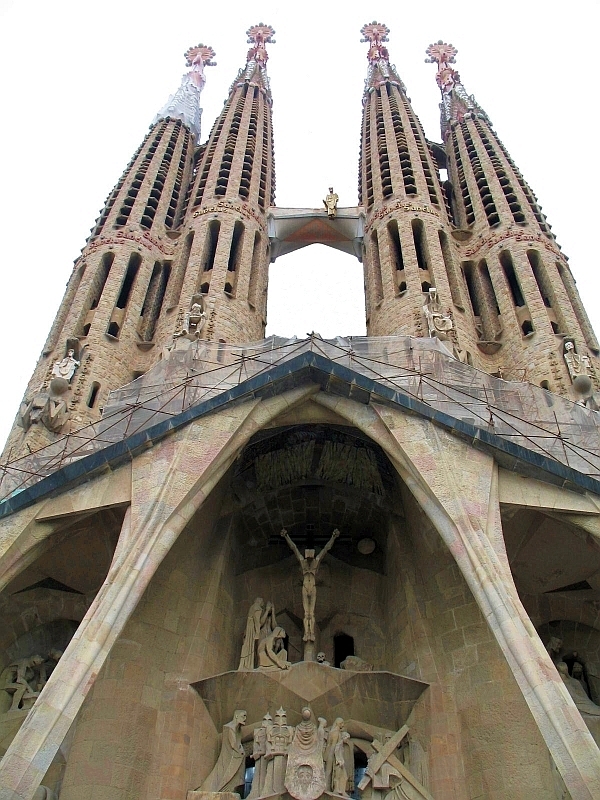 Gaudi’s work is steeped in symbolism. 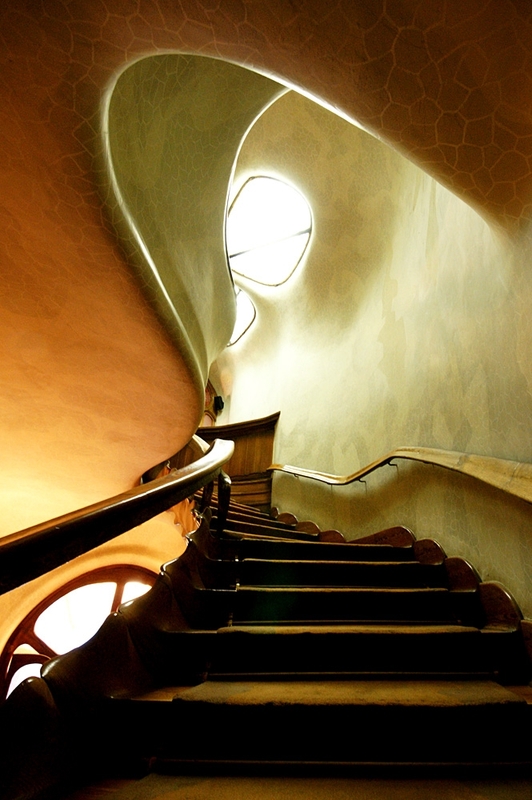 One of his most spectacular residential commissions, Casa Batlló’s arched roof likens the back of a dragon, and recalls stories of St. George, the patron saint of Catalonia. 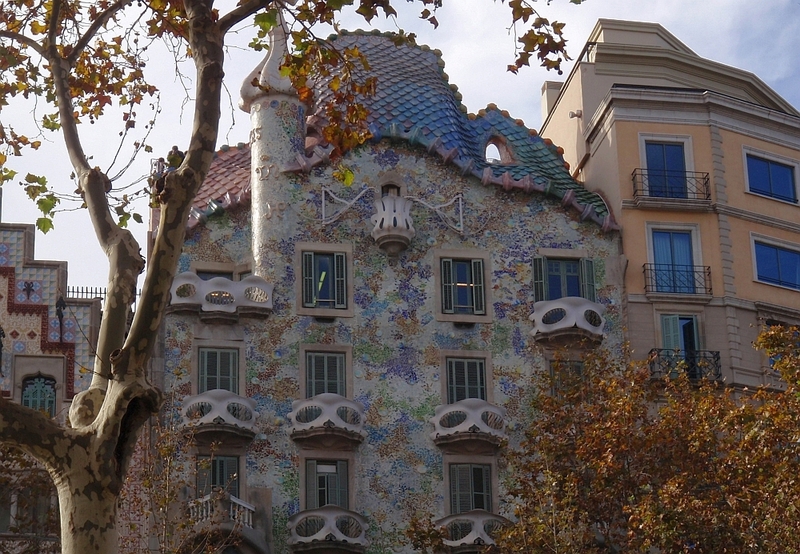 And of course, there is the colorful façade of trencadis as pioneered by Gaudi. We didn’t go into Casa Batllo, but I found this awesome picture. The light on the delicate plaster surfaces are particularly magical. The organic planes of the staircase, wall, and ceiling flow seamlessly together to form ‘the house without corners’. 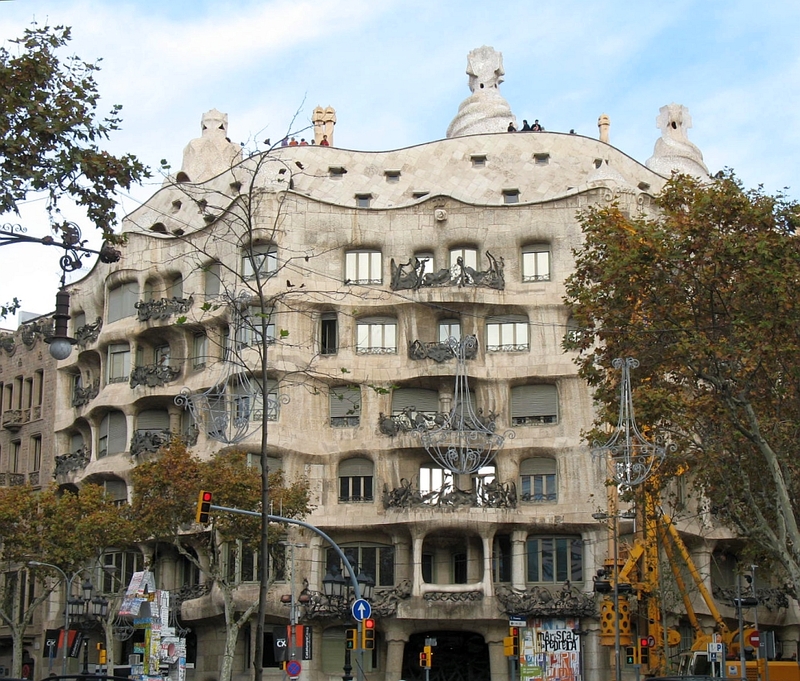 Casa Mila, popularly known as La Padrera (stone quarry), with its famous Darth Vader-like chimneys. The undulating rough-hewn limestone blocks and sinuous wrought iron balconies are reminiscent of eroded sea cliffs. Detail of Casa Mila, another celebration of ironwork, glass and stone. 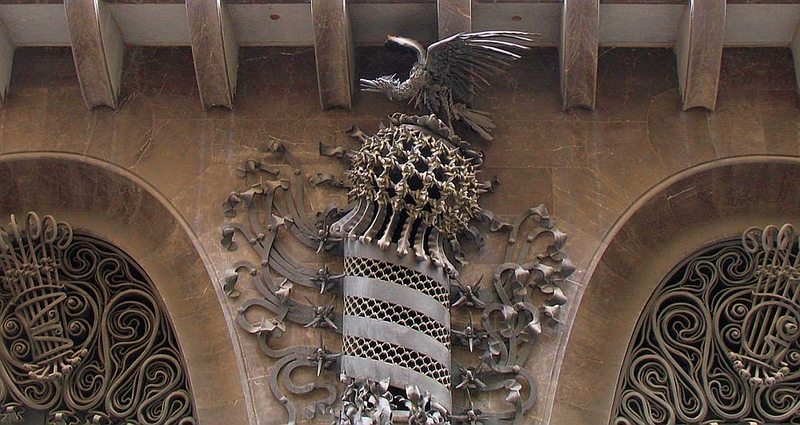 The vulture was purported to be an oblique reference to Gaudi’s client, Pere Mila. 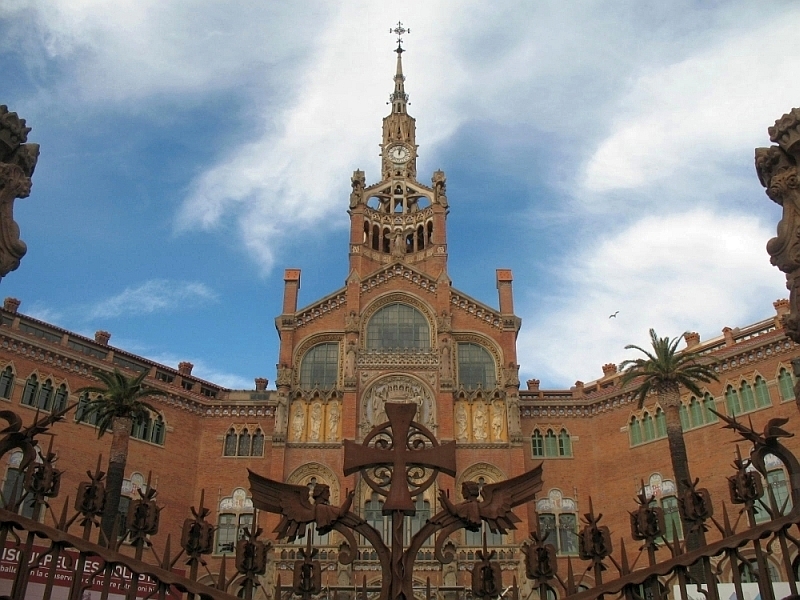 The imposing entrance to the Hospital Sant Pau which is undergoing restoration for use as a museum and cultural center. View of hospital roof with an eclectic mix of tiles, stone capitals, corbels and religious motifs. The hospital’s access pavilion is crowned by a slender clock tower with exposed brickwork. 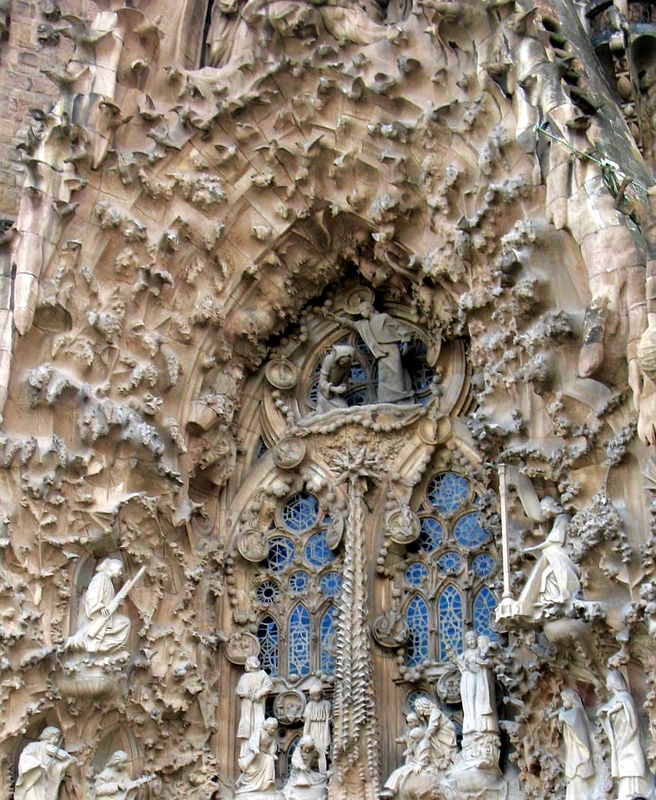 Detail of the Nativity façade on the north side of Gaudi’s Basílica de la Sagrada Família showing Mary at the Visitation. Sagrada Família’s façade on the opposite side includes over a hundred contemporary sculptures evoking the Passion by sculptor Josep Maria Subirachs. Chosen to execute Gaudi’s plans after his death, the work is starkly different from the exuberant ornamentation of the Nativity façade. This entry was posted in Architecture, Food, Interior Design, Travel and tagged Antibes, Antoni Gaudi, Barcelona, Basílica de la Sagrada Família, Cannes, Casa Batlló, Hospital Sant Pau, La Padrera, Lluís Domènech i Montaner, Palau de la Música Catalana, World Heritage Site by Marie Chan. Bookmark the permalink.